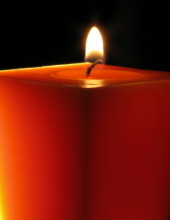 John A. Stolarz, 87, of Sewaren, passed away on Wednesday, October 10, 2018 in Old Bridge. Born and raised in Perth Amboy, John settled in Sewaren in 1965. He was a supervisor for the Swift Ice Cream of Woodbridge, which later became Häagen-Dazs, for nearly 40 years, retiring in the mid 1990’s. He enjoyed crossword puzzles, bowling and shooting darts and, he was an avid fan of the New York Mets, the New Jersey Devils and the New York Giants. He is survived by his wife of 62 years, Mary Stolarz; his sons, John and his wife Karol, of Jackson and David and his wife Sandi, of Kirkwood, NY; his brother Eddie Stolarz of Sarasota, FL, and; his grandchildren, Thomas, Todd, Anthony and Adam. The family will receive friends on Monday from 10:00 to 11:00 AM at the Zylka Funeral Home, 513 State Street, Perth Amboy, followed by an 11:30 AM committal service in Sacred Heart Cemetery, Sayreville. To send flowers or a remembrance gift to the family of John A. Stolarz, please visit our Tribute Store. "Email Address" would like to share the life celebration of John A. Stolarz. Click on the "link" to go to share a favorite memory or leave a condolence message for the family.